This two-day course counts as the 12 hours of face-to-face instruction required to become an ISTE Certified Educator. 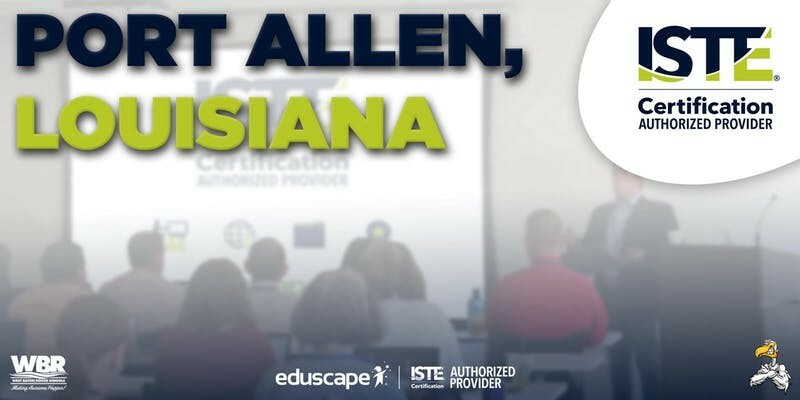 ISTE Certification for Educators is a new competency-based, vendor- and platform agnostic teacher certification based on the ISTE Standards for Educators. This digital credential recognizes educators who understand how to use edtech for learning in meaningful and transformative ways. Are you ready to be an ISTE Certified Educator? To be successful in this program we believe it is important to consider these questions. Are you an educator who is interested in professional growth and who sees the ISTE Standards as a roadmap for using technology to learn? Are you an educator who has experience and comfort using varied technology in the classroom? Are you an educator who is comfortable with and has experience successfully taking online professional learning (courses)? Opportunity to earn two graduate level credits. Assemble eportfolio of artifacts that meet the criteria required by ISTE and submit for evaluation to the ISTE certification review panel. Aspiring ISTE Certified Educators will have six months to apply their learning and submit their eportfolios. Note: The cohorts are conducted by Eduscape, an ISTE Certification Authorized Partner (CAP). Our professional development facilitators have been prepared and trained by ISTE to deliver this training on ISTE’s behalf. Review this sample syllabus.